Well the second day turn to explore the center of the city. The natural part is already on the first day. Now is the time to explore the urban area. Starting from, of course, the most popular area. Asian africa. Then you go to Alun-alun and Braga. Because you will be walking so wear comfortable shoes, such as shoes teplek or sneakers. If using a vehicle must be complicated because the little parking is so close these locations. If you stay only one night at the hotel, it's good on this second day you check out all. Congenital your bag a lot? Titip at the hotel just yet: D at reception. I still usually traveling if I like to ride nitip goods to the receptionist and pay tip money to the receptionist as a thank you. Unless you are a typical traveler with a backpack, ah this nice mah not bother with luggage, can all check out and bring luggage and go for a walk. Morning: go early I strongly recommend. Moreover, the morning sun provides good lighting for your photos. Whether it's selfie or photo hunting. Start along Asia Afrika Road. See the rows of old buildings. Tapaki the cool sidewalk. There is a park bench if you want to rest or see old buildings and Bandung streets while sitting relaxed. On this street is also located a museum. Museum of the Asian-African Conference (I'm not typo, it's a conference, use the letter 'P'). Commonly abbreviated to Museum KAA. Open at 8 am and you can enter the museum free of charge. Get out of KAA museum you walk to Alun-alun. Straight away from the museum is located. 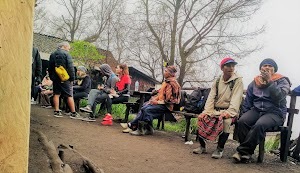 If not followed by photographing and sitting relaxed, travel time to walk to Alun-alun less than 5 minutes. 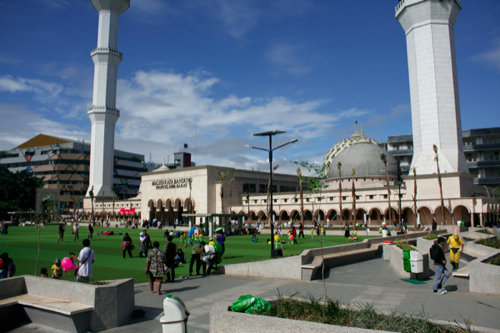 Oh yeah if you come to Alun-alun on saturday and sunday, you can go up to tower of mosque of supreme Bandung. Riding on the elevator, of course: D Open at 10:00 am - 5:00 pm. The fee is Rp 2,000. Adult Rp 3,000. On the 19th floor you will see the view of Bandung from the bird's eye view. Very cool! Day: From our Square to Braga yuk! 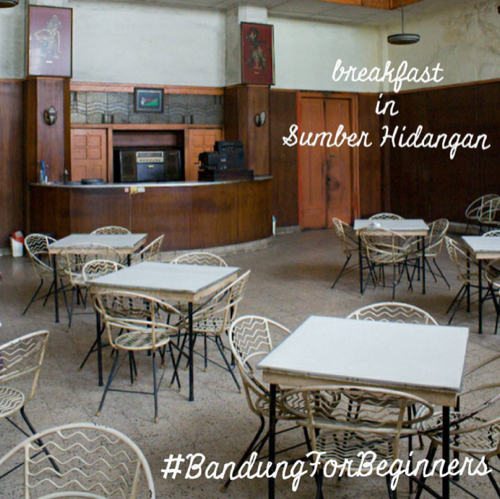 Find a meal and down one more historic point in the city of Bandung. 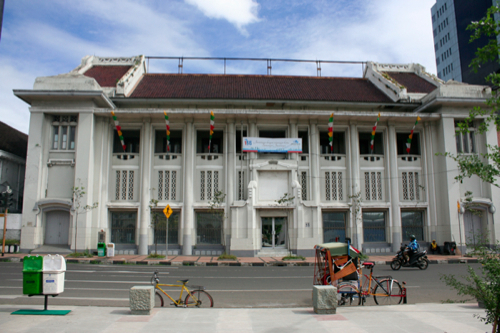 Building in Braga is elderly because it was in the 1920-1930s had been a place terhits throughout Bandung. Only the Dutch are allowed to hang out here. There are old manicured buildings and many more displaced. Slowly this area bounced back to its heyday. If you visit here, of course you become one of the contributors who return Braga to its best era. If anyone asked in Braga what? I am glad to have my first visit to a restaurant at Sumber Sumber Hidangan! A legendary restaurant that produces Dutch pastry and bakery. The best hour to make is here at 9 am. Because the bread supply is still complete and just came out of the grill. The choice of bread varies. It was also varied. And where it hanging out lho, there is no match in Bandung! Vintage really! Classic, old, and for me-who in fact the people of Bandung- very memorable. While eating his homemade bread and ice cream, you can observe Braga's street and the hustle and bustle. Sometimes I feel romantically sentimental when I'm here. Hehehe. If pengennya traditional flavored food, go to the restaurant Duck Garang or Warung Ceu Mar. I'm not too fond of eating duck meat. Besides the taste of food is also not special. But if what you are looking for is just full, then eat it in Duck Garang. Well if Warung Ceu Mar hell is a nice start. Cobain deh eat the menu to start there. The last place that I think you should visit is the second park located in City Hall Bandung. Not far from Braga. There is Taman Sartika and Vanda Park. The place is not fancy but for me it is somewhat special. New public space like this in Bandung since Ridwan Kamil became mayor. So yes that's hahaha: D There are flowers, there is a place to sit, make photographs, even if the rain in the garden there is a place to play water Sartika. Funny if i think mah. That's a wrap! Beres already, stay to the station / airport / terminal, go home deh. The recommendation of a place I love is fairly standard anyway. Some say that being a tourist does not need to come to his popular places. "Explore an area that's anti-mainstream so cool!" so he said. Ah I do not think so too times. Especially for novice tourists in Bandung. All places are as exciting as they are. Nothing mainstream or anti-mainstream. The places I mentioned above are not just tourists who come there, locals too. I still go back and forth to Asia Afrika and Braga continue to eat at Sources of Cuisine. 1. Suitable for you who are traveling first timer in Bandung. Never been to Tangkubanparahu, for example. 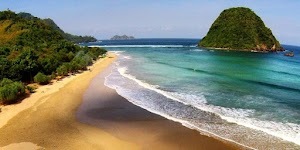 If you are bored to Tangkubanparahu and Cliff Palace, live pillowing toward the South. Ciwidey is waiting for you there. Bored with White Crater, turn direction to West Bandung. Stone Garden is waiting for you. Overall just the same kind of tripnya: out of town Bandung, see the natural charm of Bandung. 2. Depart from your city at night. Sleeping in a vehicle, until early morning in Bandung. 3. Check in to the hotel to set the time between the composition of the visit that I love. 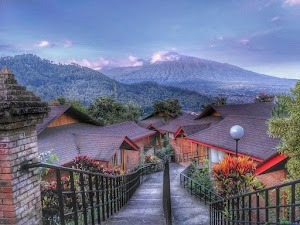 My recommendation still choose a hotel in the middle between Lembang and Braga area, for example in Cihampelas or Pasir Kaliki. But if you're a backpacker type certainly not far from cheap hostel deh. In Braga there is Chez Bon, a very cheap hostel. 150,000 per bed per night, includes breakfast. If the hotel fancy hell a lot, budget hotel was scattered in between Lembang - Bandung. Try to check on Tiket.com for more details. Again I always check the availability of the hotel via Ticket app because it is everything I want to look for is there. 5. Prepare a lot of coins if you use public transportation in Bandung. Do not ask the angkot fares to angkot drivers. Do not ask the destination direction to angkot driver. Always ask directions and charges to the angkot passengers or the nearest stall owner you can go to. If you need help with other information about Bandung, follow my Instagram at @bandungdiary but please forgive me do not serve the making of holiday itinerary in Bandung yes: D Unless if kmau please wear tariff. 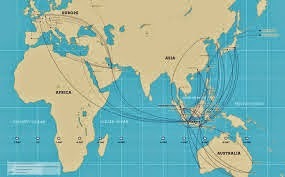 Itinerary per day is Rp50.000. Create your own aja, research is easy right now there is Google, if you have your own itinerary nah deh newly asked me specifically the places. Have fun and happy traveling in my city!